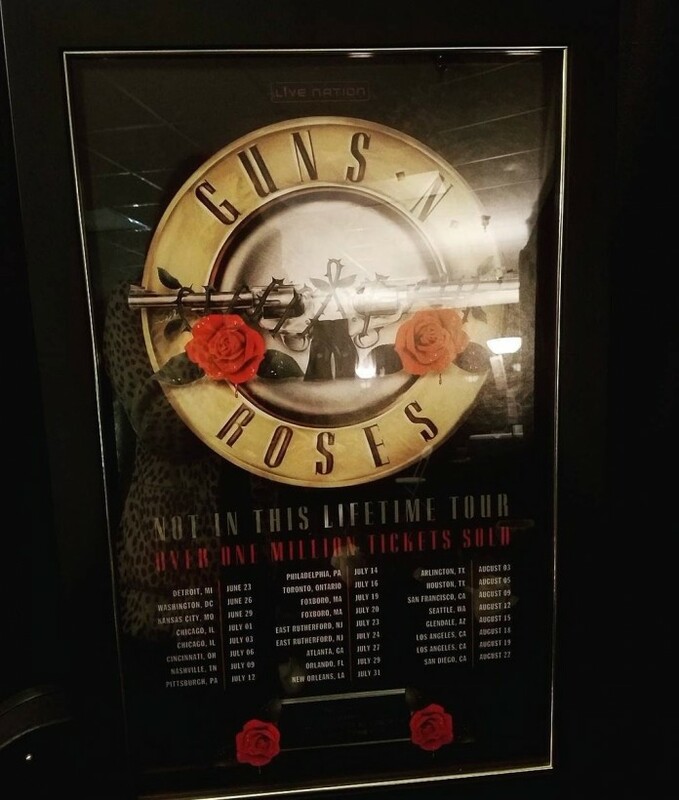 Guns N’ Roses sold more than 1 million tickets to their Not In This Lifetime North American summer tour. The reunited trio of Axl Rose, Slash and Duff McKagan were presented with a plaque recognizing the achievement following their August 25 summer finale at Qualcomm Stadium in San Diego, CA. Live Nation exec Bob Roux predicted the company would sell one million tickets for the 25-show tour, roughly 90 percent of what was available. Roux said that some less well-attended shows were the result of the band playing cities it wanted to play, rather than sticking to the highest population centers that would better guarantee sellouts. Summer dates began in Detroit, MI on June 23 and saw guest appearance by drummer Steven Adler in Cincinnati on July 6, Nashville on July 9 and Dodger Stadium in Los Angeles on August 19. The reunion was previewed with a rare club show at The Troubadour in Los Angles on April 1 that saw Rose break his left foot during the trio’s first live show together in 23 years. With his foot in a cast, the singer performed from a throne on loan from Dave Grohl of the Foo Fighters to play spring dates with GNR and a European tour fronting AC/DC in place of Brian Johnson. 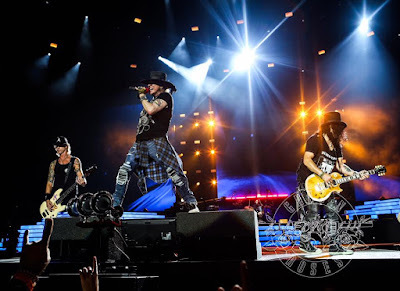 Guns N’ Roses launched arena dates with two sold-out shows in Las Vegas in April alongside concerts in Mexico and appearances at Coachella on April 16 and April 23. Guns N’ Roses will next play a series of South American shows in Lima, Peru on October 27 and then start 2017 with dates in Japan in January followed by treks in New Zealand and Australia in February.